Louis-Philippe Loncke is a Belgian explorer and adventurer. He is also Fellow of The Explorers Club, together with Dr. Jane Goodall. He has been doing expeditions since 2006. He mainly did cross several deserts on foot and sea kayaking journeys to raise awareness on ecological issues in remote areas. He mainly focusses on water preservation and clean up actions using a paddle sport. He received the prestigious award “European Adventurer of the year” for 2016. In April 2012, he helped to organise the first KayaClean event for JGI Belgium with underprivileged youth participating as part of the R&S programme. 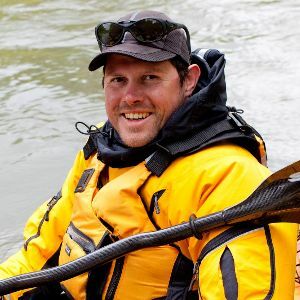 He now aims to lift the KayaClean.org to a global world wide scale by dedicated website where paddle cleaners volunteers can find and join a water cleaning activity done with a kayak or a canoe. “I met Jane in May 2010 and what a surprise to receive an email 15 months later asking me to be an ambassador. I was just starting my BelgiKayak expedition. She is a symbol of hope to me. 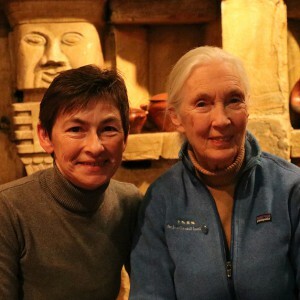 She continues to act for her beliefs, for her passion to preserve the animals, the environment and the people.” Jane knighted him in 2014 as “Jane Goodall Institute knight for the Youth, the animals and the plants in the order of the Iguana” or in short Sir Iguana. Louis-Philippe Loncke can be followed on his blog and the social media Facebook, Twitter and Instagram. Stacey King was born in Belgium, but spent a number of years in Germany and the Netherlands before finally settling in Paris. Having studied political science at the Sorbonne, she started her working life in the banking sector, but the call of music was stronger and she started her artistic career singing back-up vocals on a number of albums. A providential meeting with Roger Sanchez, known for his remixes of artists like Madonna, Janet Jackson, and Jamiroquai, led her to record her first single Just Leave Me. This single brought her success and she travelled the world. Ever since, she has been a full-time singer, appearing in a series of concerts and events with various orchestras from France and Switzerland. She has also featured with a number of DJs as well as finding time for her own personal projects. Stacey King was one of the revelations of “The Voice” in 2014, charming audiences with her voice and her undoubtable charisma and making it as far as the semi-finals. She is now back on the stage with a collection of great classics from the tradition of French music. 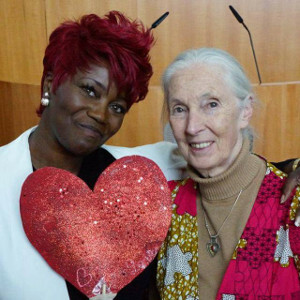 Stacey King is involved with a number humanitarian causes, earning the title conferred on her by audiences: “the great Diva with the big Heart.” She agreed to become a Roots&Shoots ambassador for Jane Goodall Institute Belgium because she believes the future of our planet lies in the hands of the younger generations and she wants to support them in their activities and actions as citizens and guardians of the environment.